This cooler has a continuous cooling performance of 5.3-6.6 Gallon/h max 8 Gallon/h. 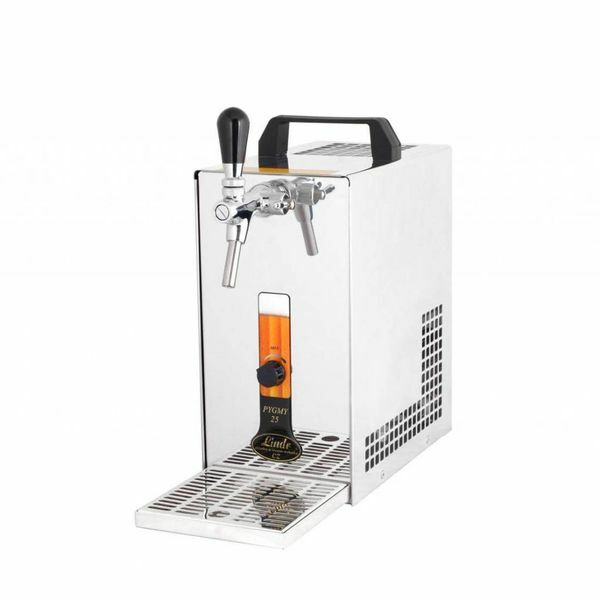 • Excellent chilled beer will be ready in the thermal block within 2-4 minutes after the cooler has been switched on. • The PYGMY 25 has a directly cooled tap. • LINDR cooling technology is 45% more efficient than its power input. • A grab handle on top of the machine enables the machine to be carried and moved with ease. 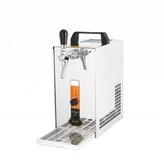 • PYGMY coolers have been recognized by experts as the beer coolers up to 8 Gallon/h. with the best ratio of price/ performance/ quality/ dimension.